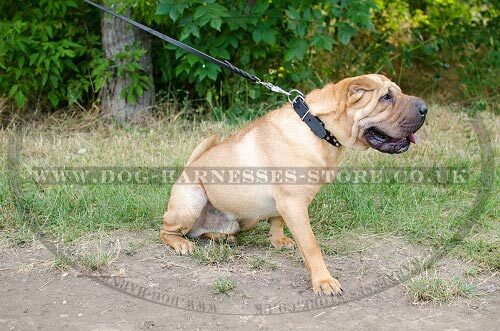 How to choose a dog collar for your Shar-Pei walking? What are the main features of the best dog collar for Shar-Pei? They are comfort, safety, durability and stylish look. 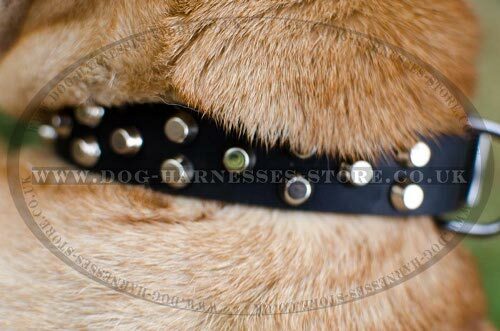 Where to buy a dog collar with all these qualities? We are glad to offer such an accessory for your dog. 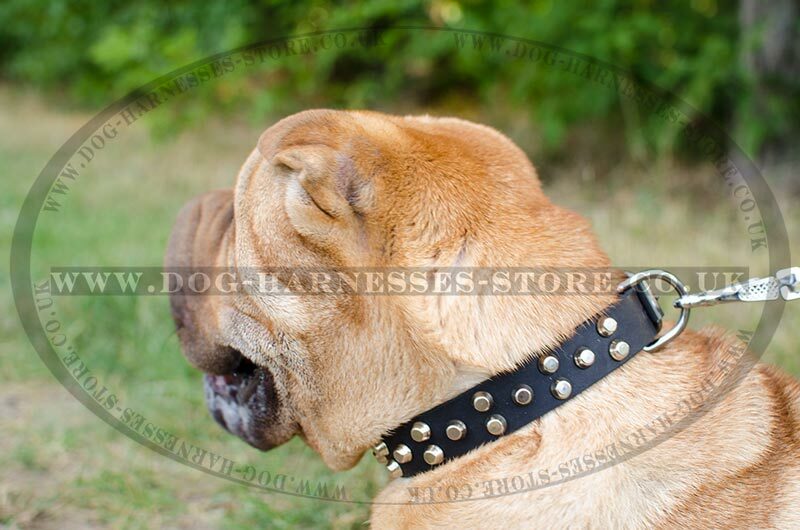 This Shar-Pei collar is of genuine leather, which is strong and dog-friendly. 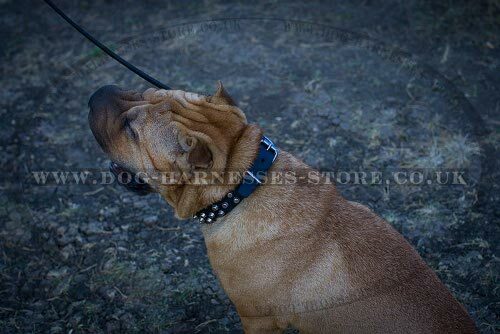 The collar is decorated with cones to attract attention to your Shar-Pei. Your dog will wear this collar with pleasure and will be always under control! This dog collar for Shar-Pei is well-oiled and rounded along the edges to avoid cutting into the dog's skin and coat damage. Decorative pyramids are hand set and fixed with rivets securely. 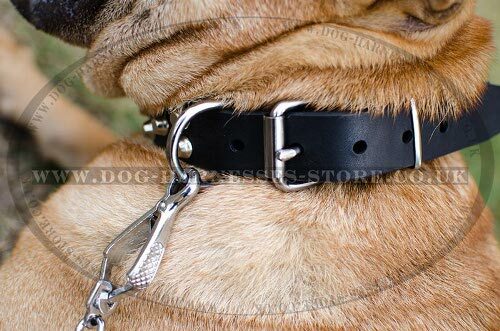 The collar is fitted with solid D-ring for leash fastening and classic buckle, which is easy in use. Metal details are of nickel-plated steel. This collar is a worthy thing for your beloved dog! Look at exclusive supplies for Shar Pei in our online dog store.